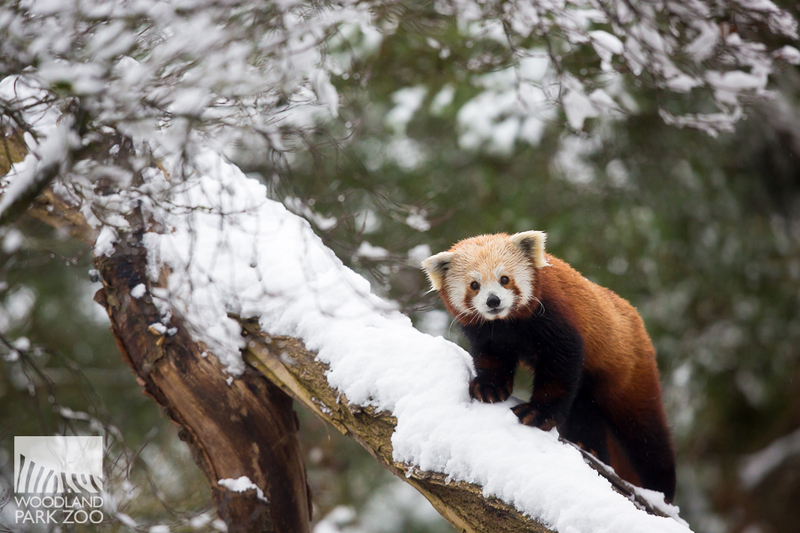 Carson the red panda surveys his yard as the early morning snowfall began to taper off. The animals awoke this morning to a blanket of snow and, like the rest of us, were eager to explore the winter wonderland around them. 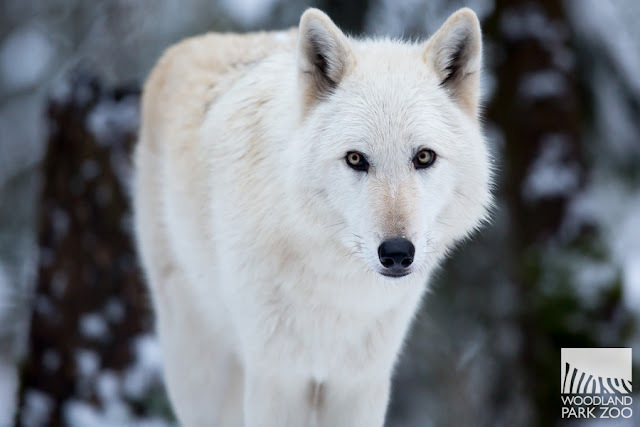 Our dedicated photographer ventured out early to capture the moment as wolves, lions, red pandas and cranes got their fill of the white stuff. While some animals prefer to stay cozy in their indoor spaces (ahem, desert donkeys Sam and Rico, who wouldn’t step foot out of their warm barn), others were totally in their element. 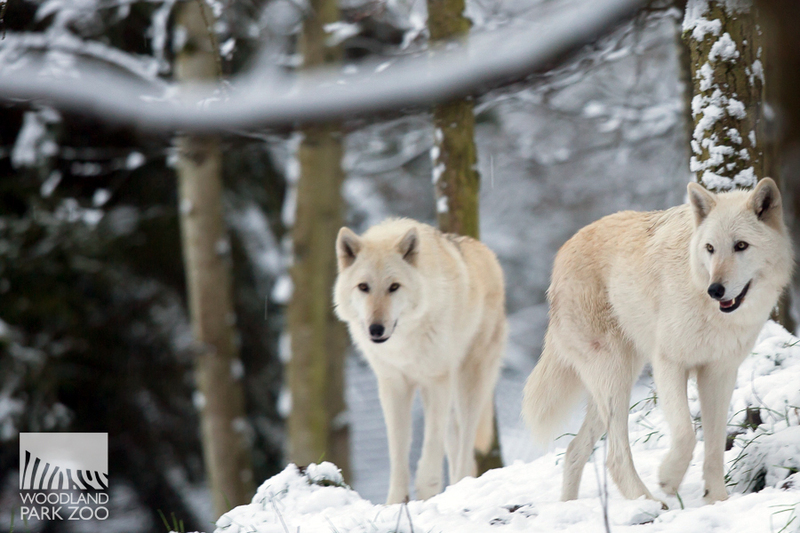 Our pack of gray wolves were certainly right at home and welcomed the chilly weather. The girls are more active in the brisk winter mornings and we watched in awe as they playfully frolicked through their yard. 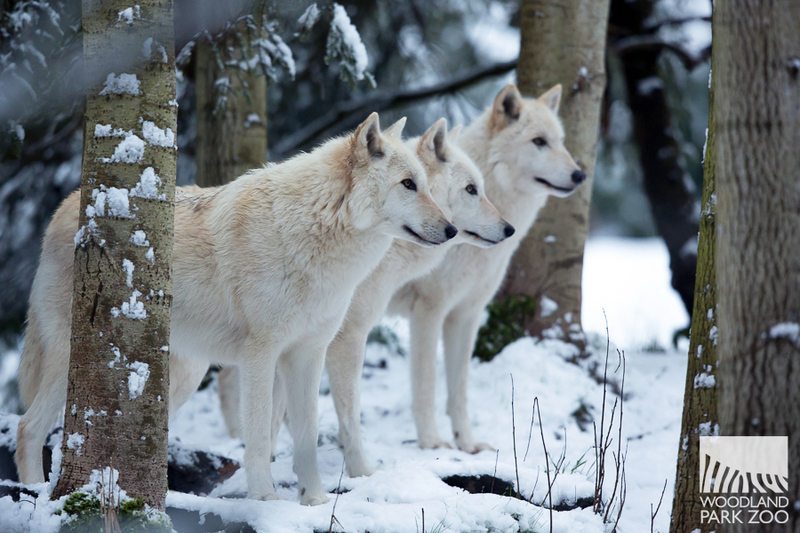 Sister wolves Doba, Shila, Aponi and Kaya know exactly what to do in the snow—pose elegantly for their winter portrait of course! 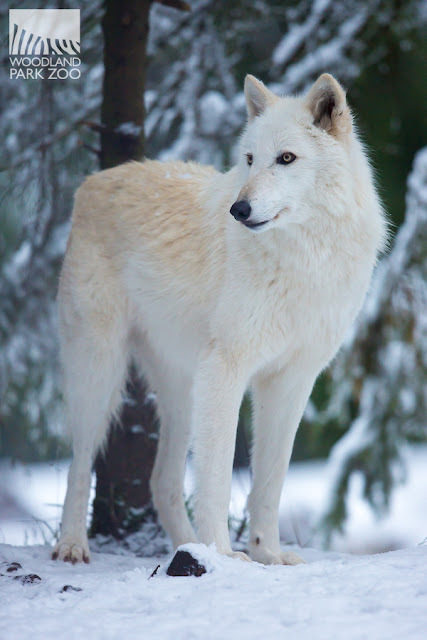 The sisters are built for snow; equipped with humongous paws with fleshy pads and claws that can spread out to provide traction in snow and ice. The girls also sport cozy winter coats which keep them insulated in the chilliest conditions. Oh, sister wolves, you gorgeous gals are true Northwest royalty in this winter wonderland. 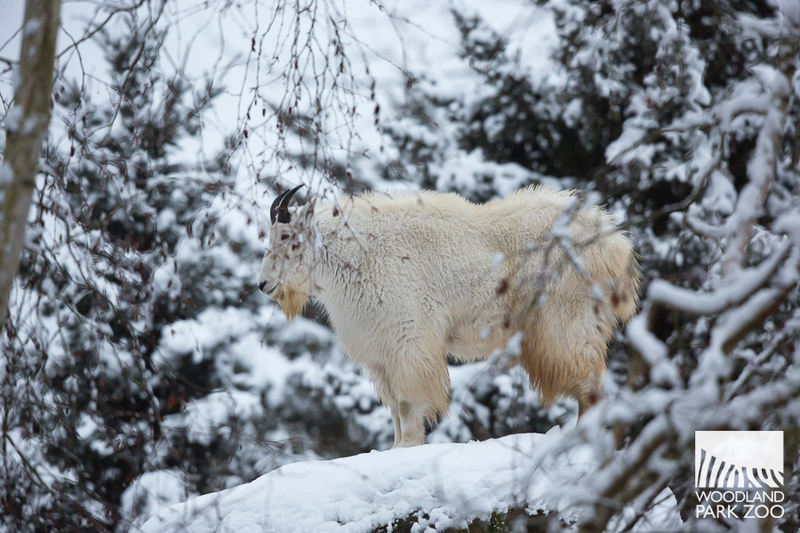 Nearby, Albert the mountain goat looked absolutely majestic atop his snowy perch. 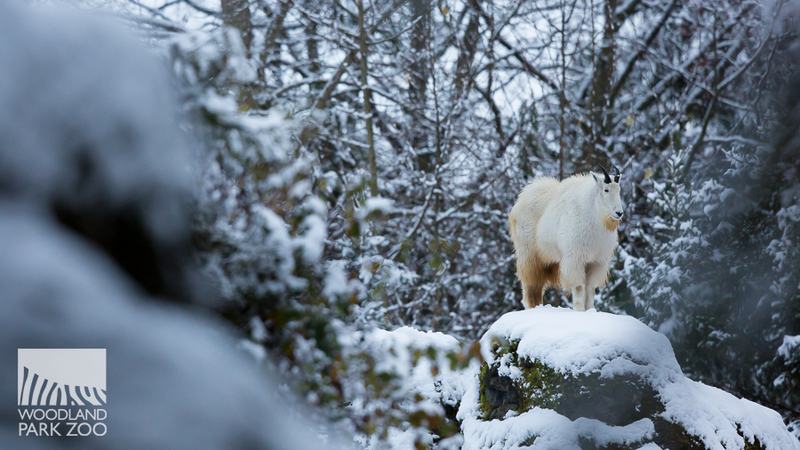 Albert stands atop the highest rock to take in the snowy landscape. Albert's thick, woolly fur keeps him toasty, while his cloven hooves provide built in traction for ice and rocks. The entire Northern Trail was bustling, although grizzly brothers Keema and Denali opted to snooze right through it. The Roosevelt elk enjoyed a quiet morning stretch in their meadow. 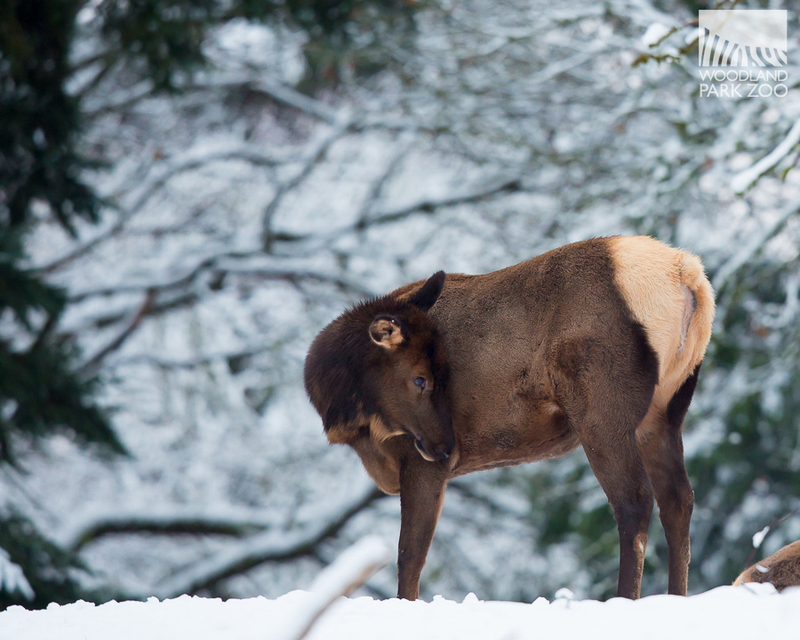 Elk grow a special winter coat; their fur grows in two layers, one is a woolly undercoat which helps insulate the elk, and the outer coat is made up of tougher guard hairs which protect the elk while they forage through thick branches. 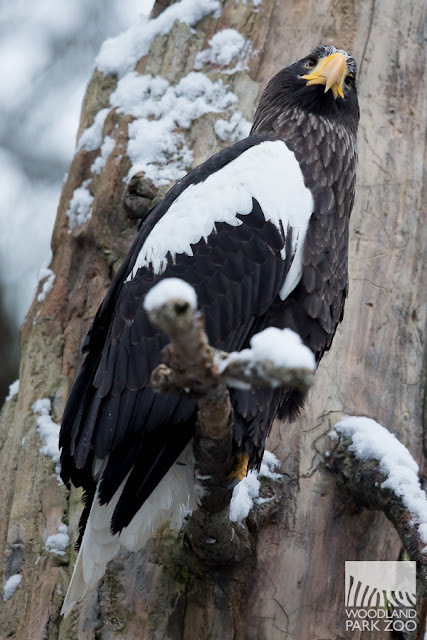 Our Steller's sea eagles were on watch for more snowfall, their brilliant yellow beaks striking against the winter skies. In the wild, these tough raptors spend part of their year in icy northern Siberia. The eagles gorge themselves on salmon pre-winter to store up enough protein and fat to get them through the harsh season. Carson the red panda was especially curious and playful this morning. 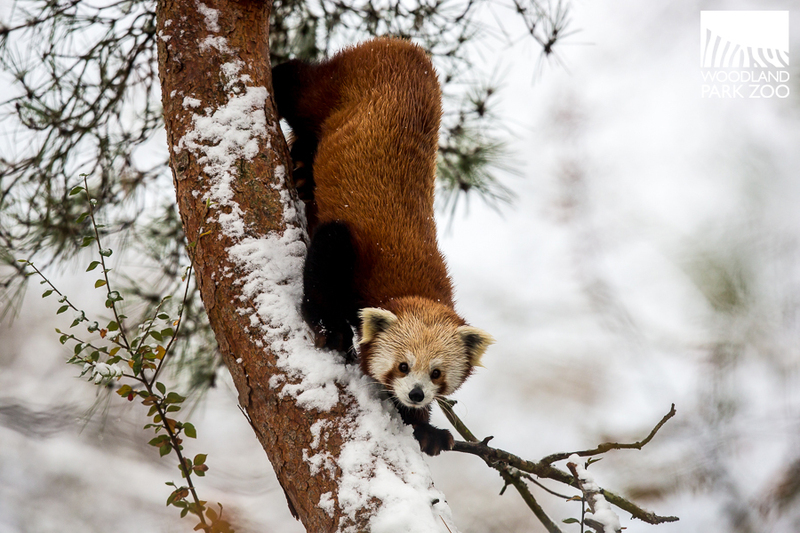 The little climber showed off his awesome snow-agility as he pounced, climbed and tiptoed through the snowy trees. Carson’s long bushy tail is helpful in balancing atop the branches, but it’s also a portable warming device. Wrapping the fluffy red tail around his head when he curls up makes an instant cozy retreat. 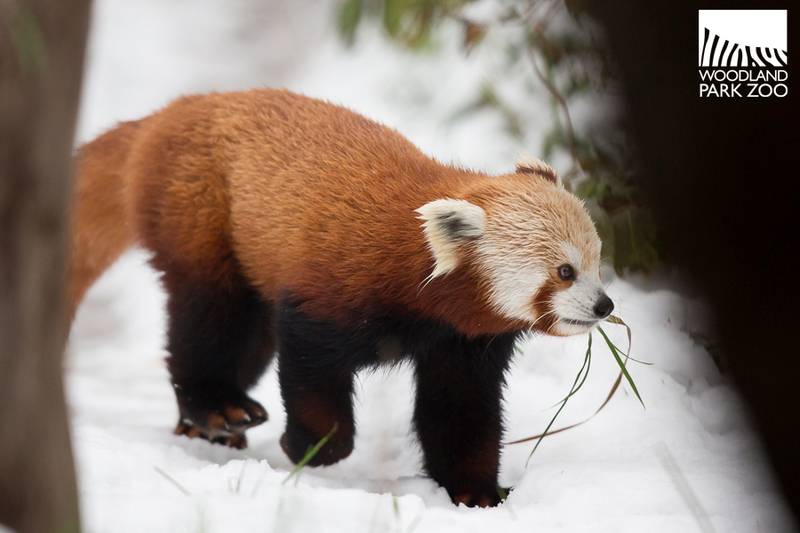 Red pandas are used to chilly temps; thickly furred soles of the feet are adapted for walking on snow and ice. Carson keeps tabs on the photographer as he checks out his stomping grounds. Nearby the red-crowned cranes did a little snow dance. 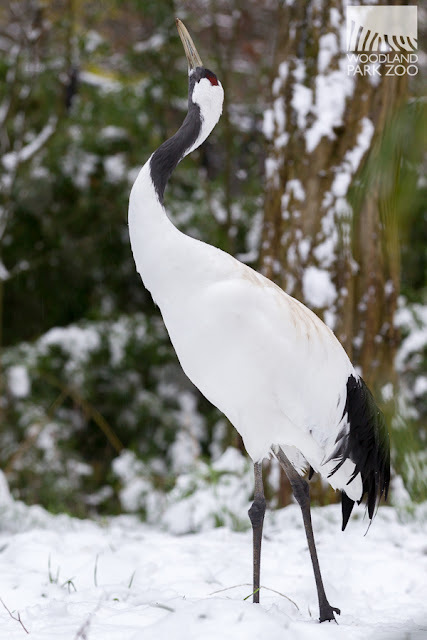 There are two distinct populations of red crowned cranes; one on the island of Hokkaido, Japan, another on the mainland in northern Manchuria and southeast Siberia. At African Savanna, Xerxes wandered out to scope out the fluffy stuff. 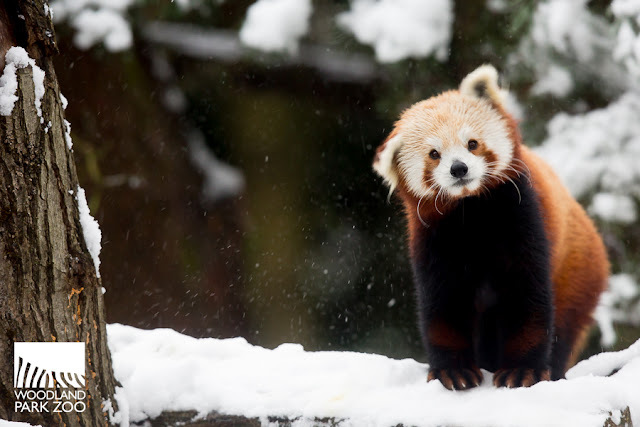 His expression seems to sum up how we all feel about the magic of a snowfall. Xerxes, our male lion, looks across the snow-covered yard. 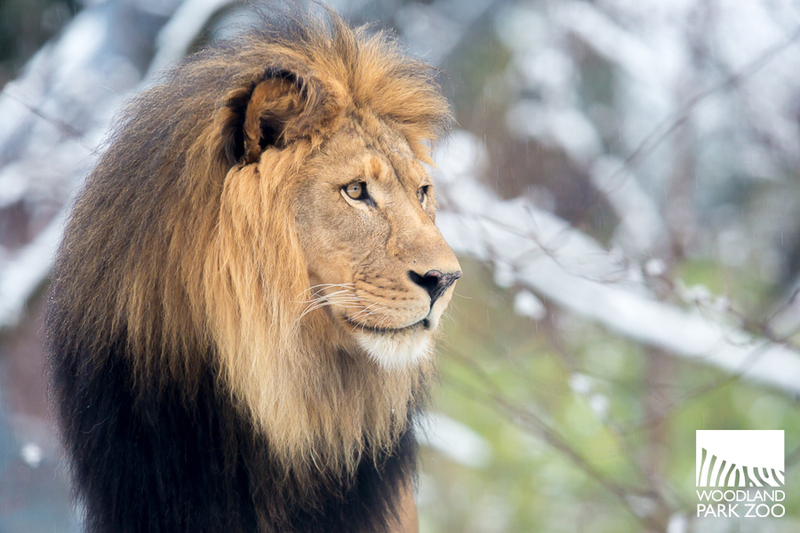 The lions, like all of our animals, can choose whether or not to partake in the snow day. Hot rocks, cozy straw and blankets, den access and heat lamps are available to the animals during the chill. Wallabies do snow? Sure they do! Especially when there are enticing snowdrifts to land on. 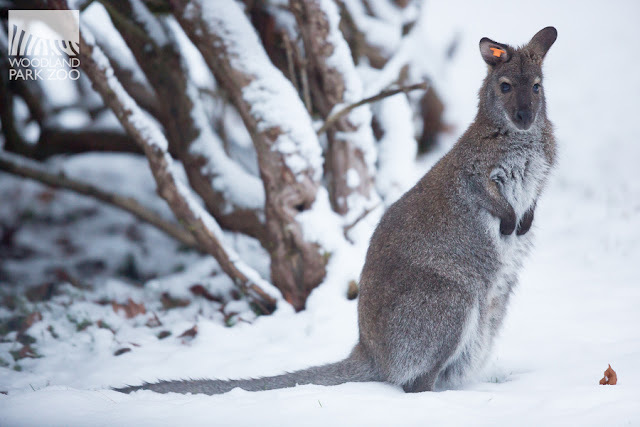 A wallaby in Austrailasia takes a break from hopping through the snow. If you aren't as excited about our recent freezing conditions, check out our Winter 101: tips from the Northern Trail. And stay cozy!